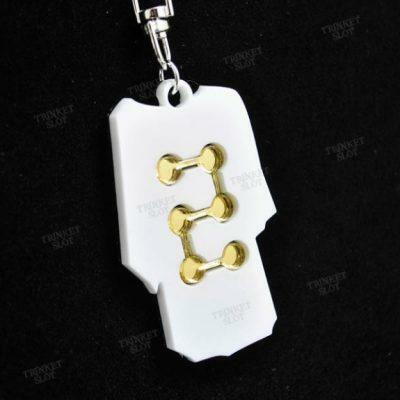 Give your the ultimate 8-bit lover's necklace in a form of an interlocking 8-bit heart! You might recognize the 8-bit heart in your favorite game, whether it's CubeWorld, Zelda, Mario, or more! 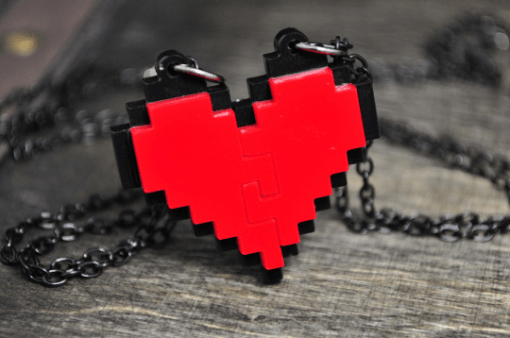 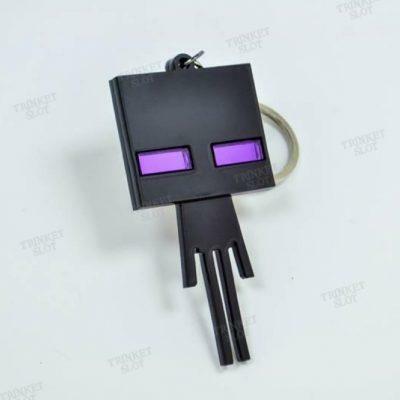 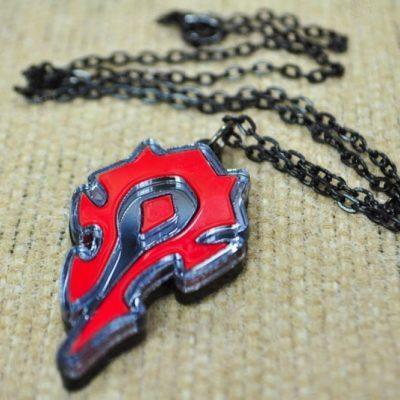 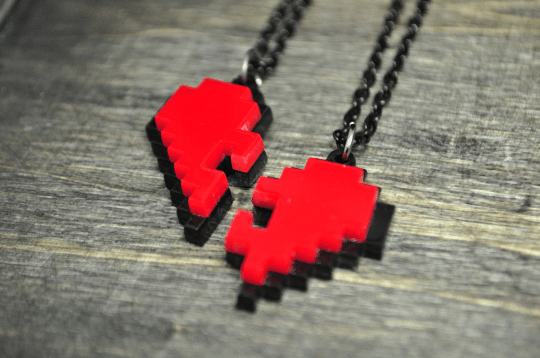 Now you can share your passion for 8-bit games by giving your friend one side of the heart or keep it connected as a whole heart necklace. 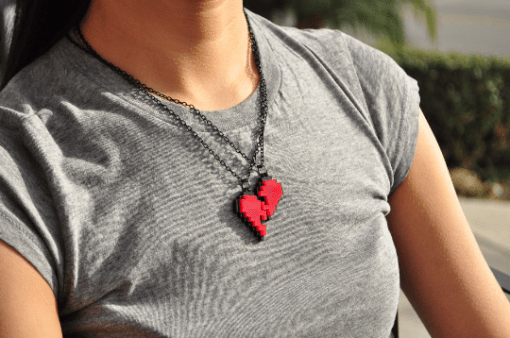 Unlike many other 8-bit hearts, this heart stays together as a whole heart if you'd like.